Good. Fast Dispatch. Expedited UK Delivery Available. Excellent Customer Service. Roll to spine. This book is amazing. It will keep you reading page after page. The plot has many twists and turns that are incredible. Needless to say, I LOVED it. I had not read any of his books before, but the synopsis on the cover sounded very interesting. Before long I was completely engrossed in the story and the characters. His style of writing is very engaging, pulling me into the characters and their somewhat convoluted lives. Mr. Iles was able to develop the character to the point where I was interested in what would happen next to them. The element that was most interesting was that it was different than so many other books that I have read. The characters had life to them, the story line was compelling, and the overall impression I was left with was the desire to recommend this book to others. 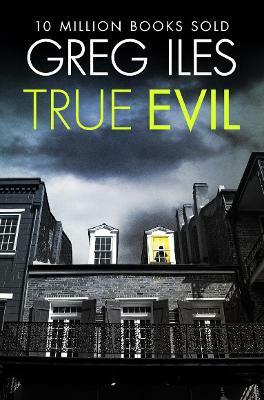 An overall great book by Greg Iles, this novel left too many loose ends. The reader is left wondering how certain characters gained knowledge of what was going to happen to them. I kept reading thinking it would be revealed later in the book but it never was revealed. Perhaps this is Mr. Iles way of letting the reader know that there may be, perhaps, a sequel in the making? I still will continue to read his books as they are, in my opinion, great reads. Have read all of his books and love the references to characters in previous books. It makes me feel "part of the book."